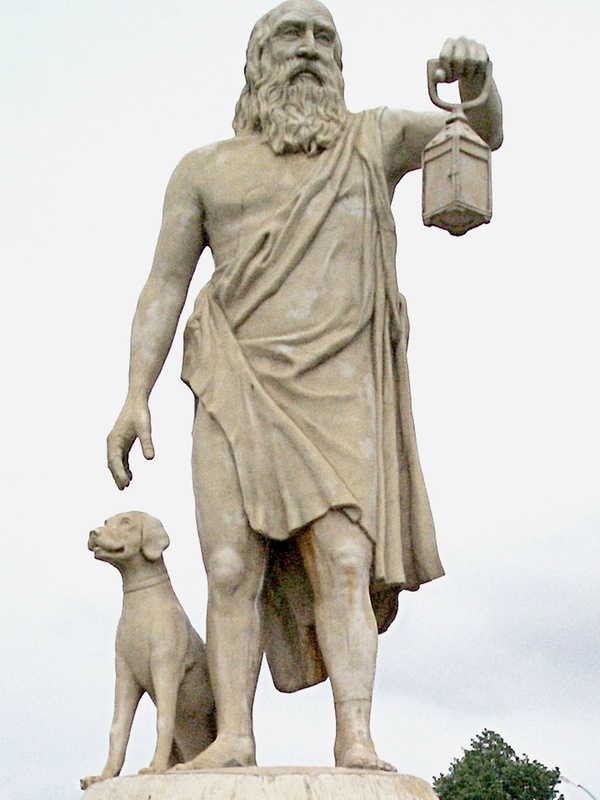 Άνθρωπον ζητώ (“I seek a human being.”) Diogenes, the great 4th century BC philosopher, spoke those words as he walked around with a lamp in broad daylight. Today also, one can do the Diogenes stunt and go around looking for a human being – as we increasingly lose our humanity. More and more scientists and social thinkers are losing hope in the human race and are talking about artificial intelligence, when humans will evolve into some higher form of existence. Higher? I doubt it – more homogenized uniformity appears to be the fate of the human race, if current predictions and trends continue. Jesus came looking for a human being. And he found human beings in unexpected places – as in today’s Gospel reading. But the villagers could not stomach what Jesus did and asked him to leave. Πάντα χρήματα ήν ομού. 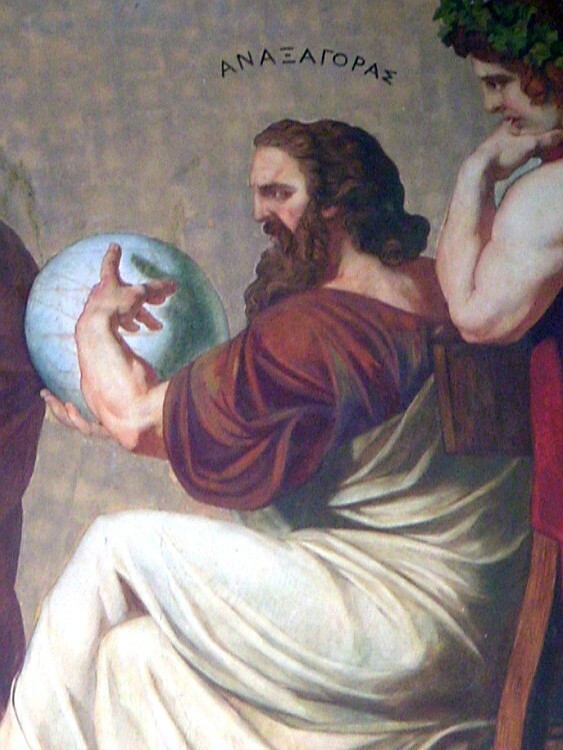 Είτα ο νούς ελθών αυτά διεκόσμησε (Anaxagoras, 5th century BC). “In the beginning all things were indistinguishable. Then came mind and arranged them.” διακοσμέω – a beautiful verb, meaning to arrange, organize; better yet, to adorn in various ways. Even in modern Greek, we speak of διακόσμησης – what an interior decorator does. In Genesis, God spoke and created order from the initial cosmic mass/chaos. In Greek philosophy, the mind of man created the order and brought out the beauty of creation in its manifold forms; that is the message of the verb διεκόσμησε. The mind of man can decorate the world, see it in its manifold beauties and give names to its variety – as even Genesis tells us. Today, the human mind seems to have grown weary of itself and of the world. We prefer to narrow the world down to fewer and fewer elements. 75% of all insects have already disappeared according to one recent study. 75% – that’s catastrophe in the making! And not only are we destroying animal and insect life on the planet, we are eradicating the variety of plant life. There are very few original forests left in Maine. One of the most famous books Thoreau wrote, Maine Woods, could not be written today. The human mind yearns for homogeneity, uniformity; the opposite of what the mind does in Anaxagoras’ profound statement. We seem to have grown tired of creativity and original thinking. Jesus comes today, like Diogenes, looking for a human being. Categories: Global Visions, Sermons | Tags: Anaxagoras, Diogenes | Permalink. I hear and fear your dismay at the future for humankind, but I speak in hope and defense of the artists, the musicians, poets and sculptors. In the grimmest and most oppressed of times, the artists sought and found the nectar for human resilience and expressed for all the future to gain hope. Goya, Beethoven, Kathe Kollwitz, the German Expressionists, indigenous artists like Inuit, Shostakovich and Anna Akhmatova. So many give me hope. I know some now who are working in the dark, making light for the future.